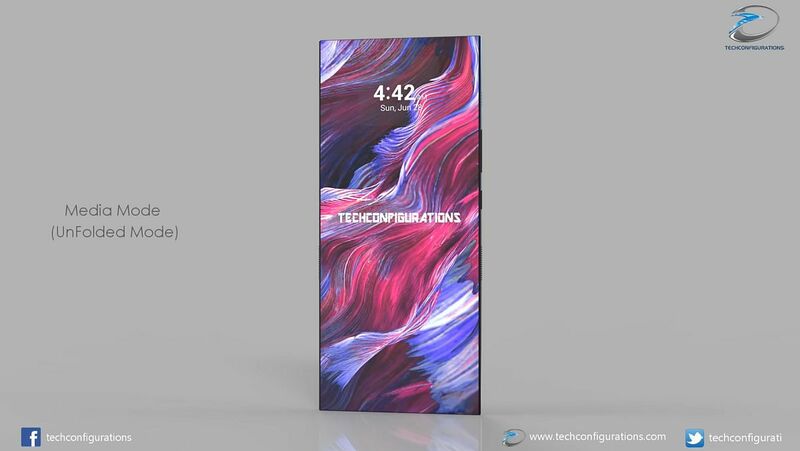 The creation of Techconfigurations, the device pops up with a highly detailed camera system, a triple back camera. 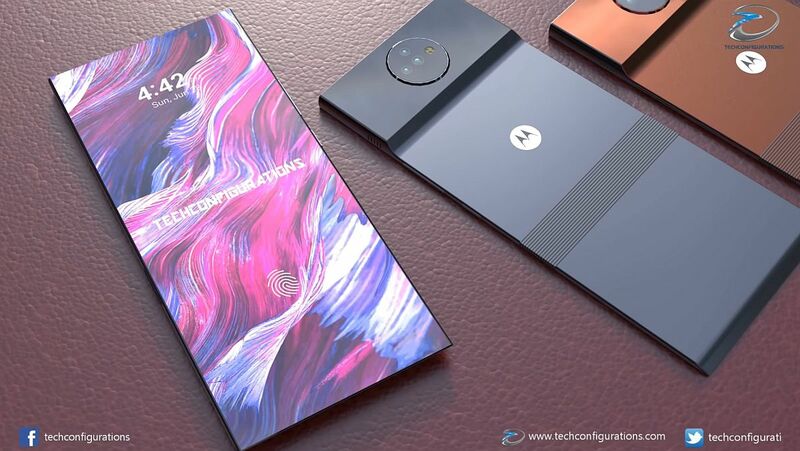 This Moto Razr Fold is far from the definition of a classic clamshell phone. 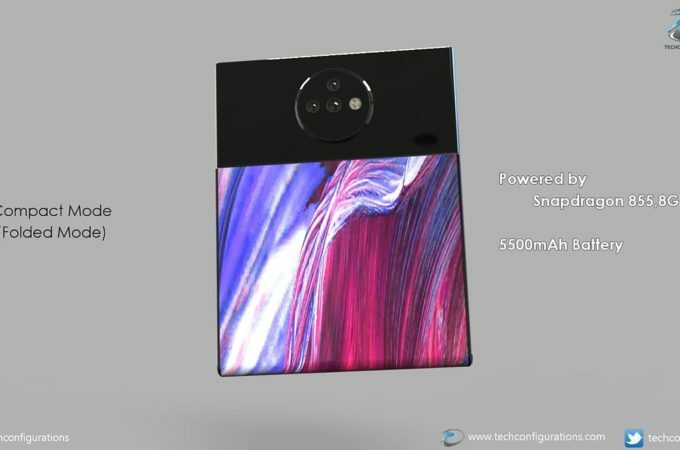 The triple camera features a 48 MP + 20 MP + 16 MP camera setup and the earpiece is integrated within the screen, with a piezoelectric mechanism in the mix. The bezels are basically zero, from what I can see and the back side has a serious bulk for the camera, maybe some extra components. There’s a Snapdragon 855 CPU here, 8 GB of RAM and a hefty 5500 mAh battery. This is more of a vertical and long phone, that folds with the bottom part going back into the camera area. It feels like a makeup kit that way. It becomes perfectly flat when folded, so that’s a plus. 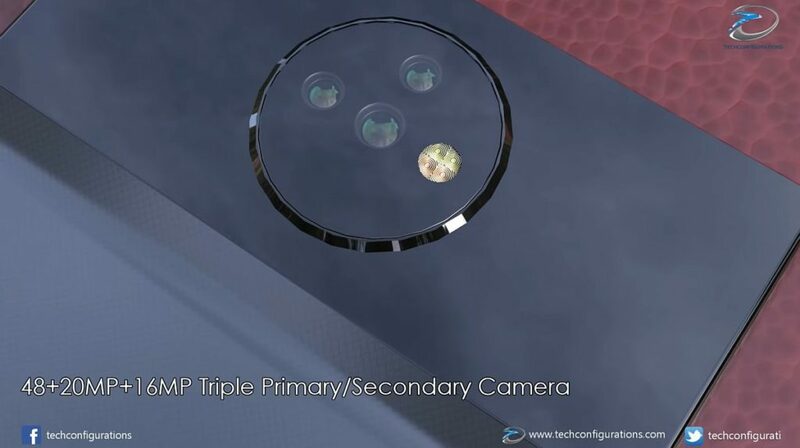 The good thing is that you can also use the main triple camera as a secondary selfie shooter. 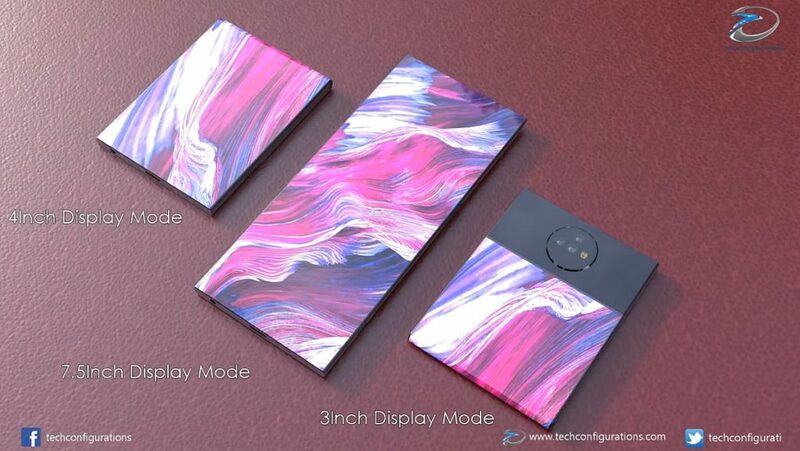 There’s actually 3 use scenarios here: 7.5 inch unfolded mode, 3 inch display mode with the back display and 4 inch Display Mode with the front one that has the lower part folded. 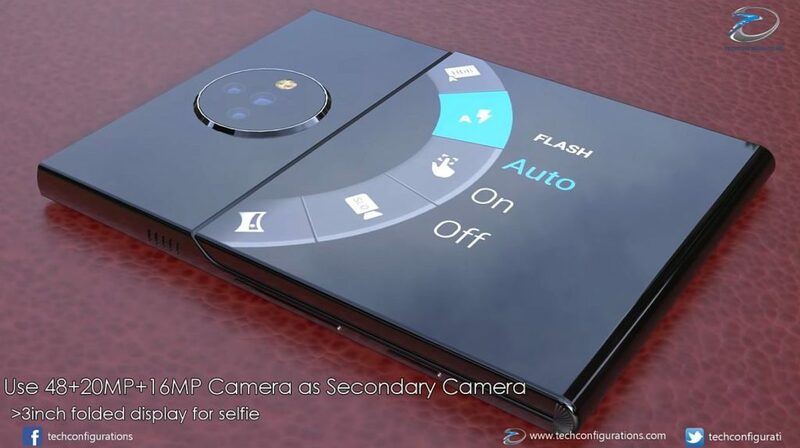 The 3 inch folded screen also acts as a set of selfie commands for the main camera and shows notifications and basic data when folded. Somehow, the designers also put an audio jack here and dual stereo speakers. Some lovely hues here: purple, a vivid blue and copper/brown. Not bad, not bad one bit!